It's your big day! Do you want to celebrate it somewhere in style? 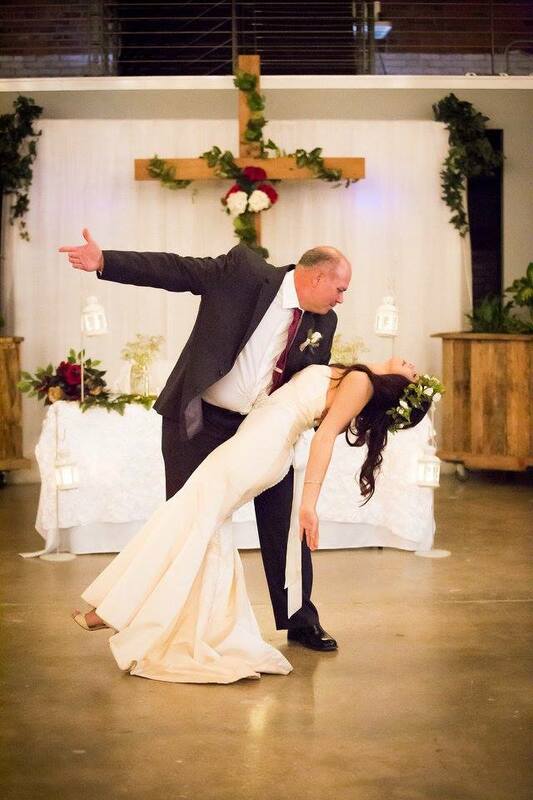 Do you want your wedding to be the talk of the town? 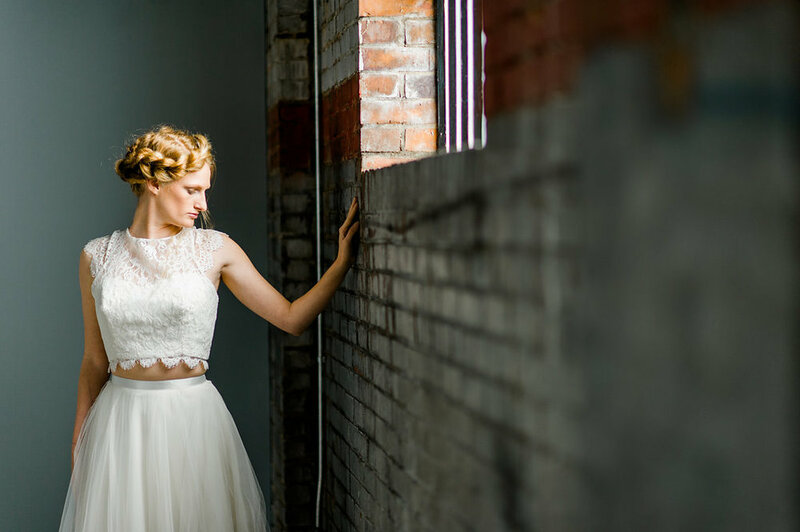 If you like a modern warehouse feel then this is the perfect wedding venue for you! Studio 215 has high ceilings and incredible acoustics. It is much more than your average wedding reception hall. 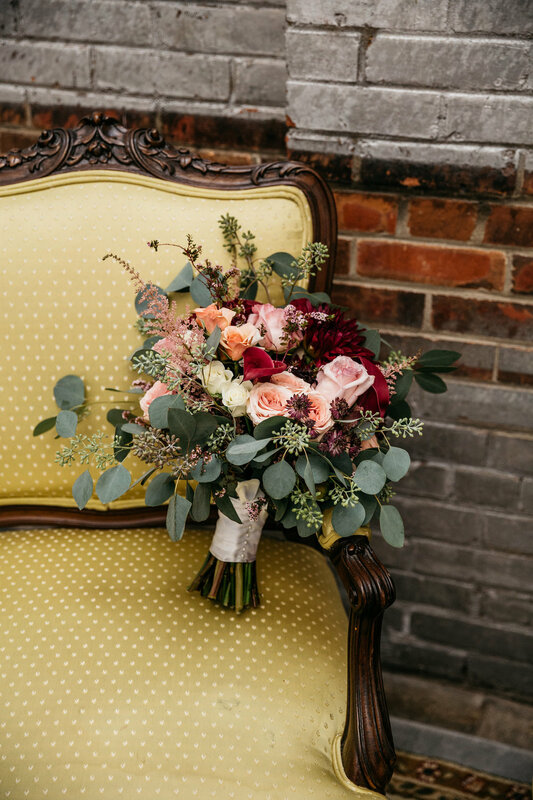 Our unique space is also the perfect spot for engagement photos, engagement parties, bridal showers, rehearsal dinners, bridal portraits, etc. 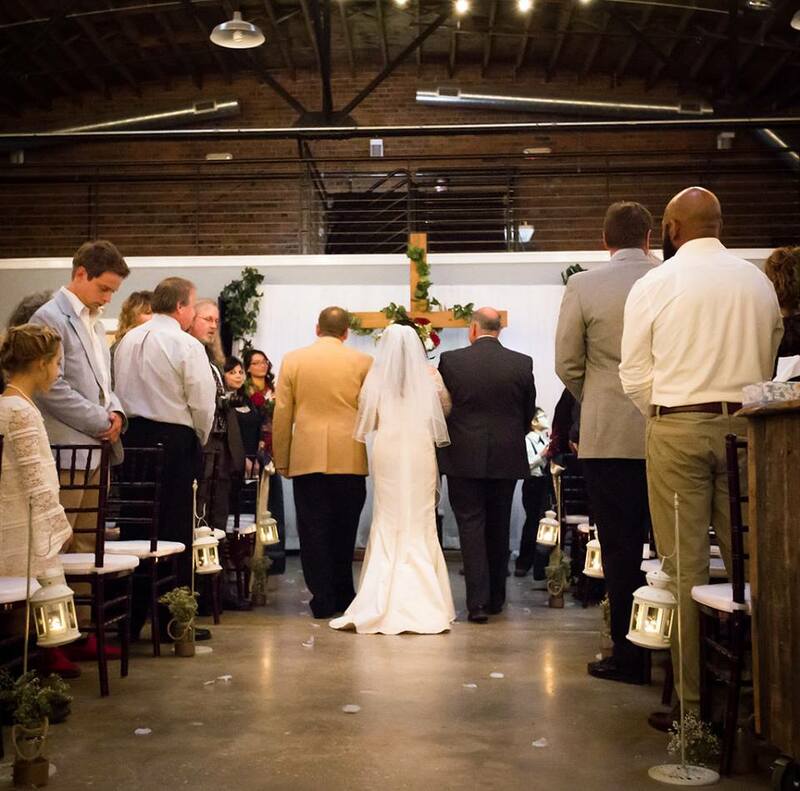 Watch the highlight film below to see what it's like to have your wedding ceremony and reception at Studio 215. You will see how our wall of mobile planters uniquely divides the ceremony from the reception area. 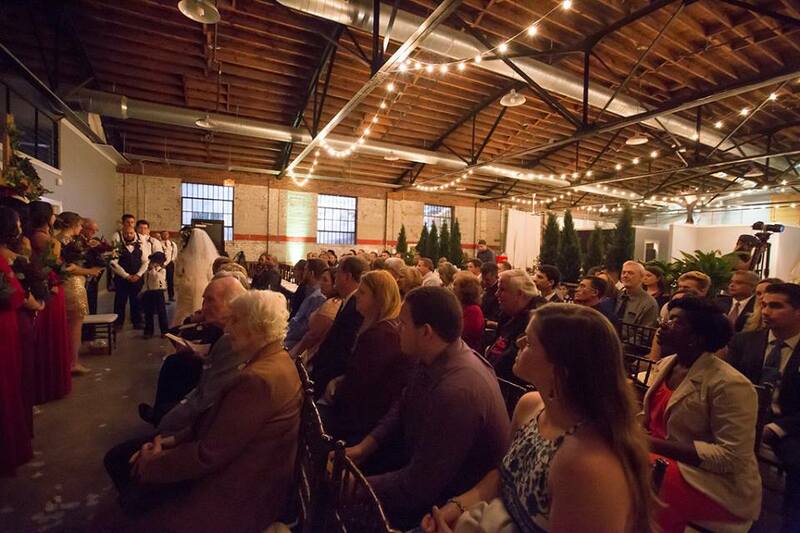 Our HUGE open air studio is the ideal location for any wedding ceremony or reception. 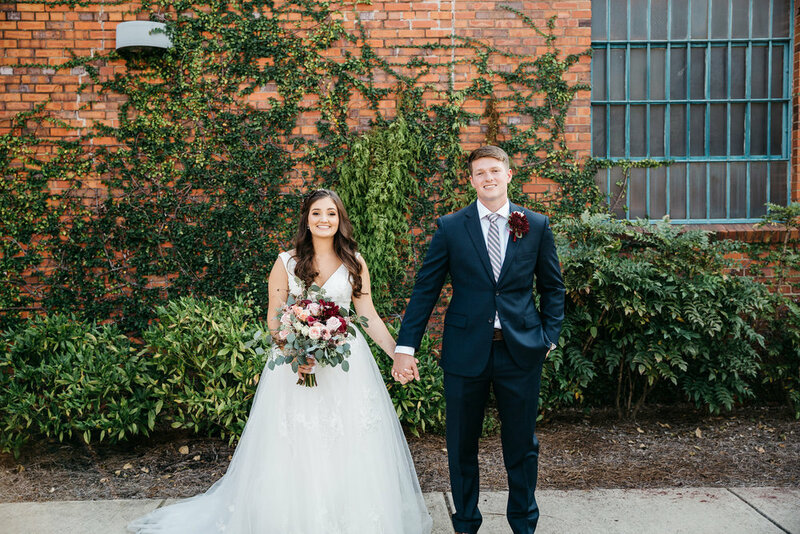 Some of the features that could be the backdrop of your reception include our stunning brick walls, our exposed wooden ceilings, metal tresses, sky lights, indoor mobile trees, and our romantic bistro lights strung from our black metal beams. 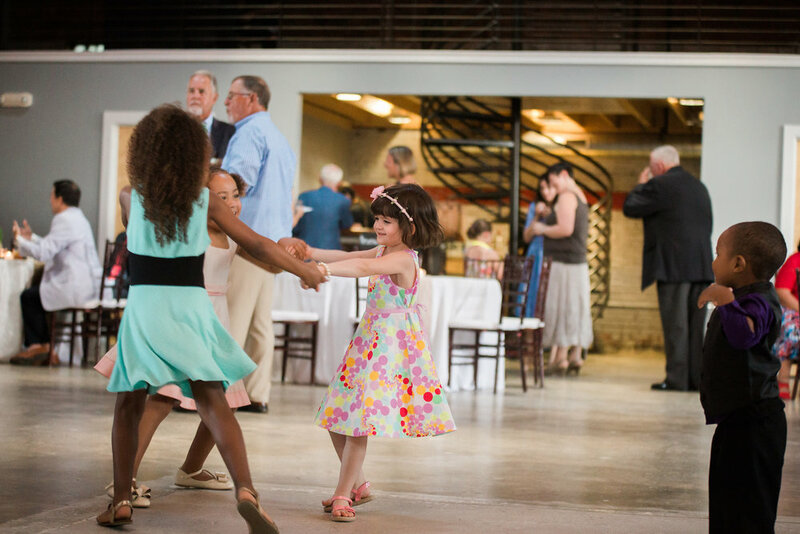 Studio 215 is available for rehearsals, rehearsal dinners, wedding ceremonies, and of course wedding receptions. 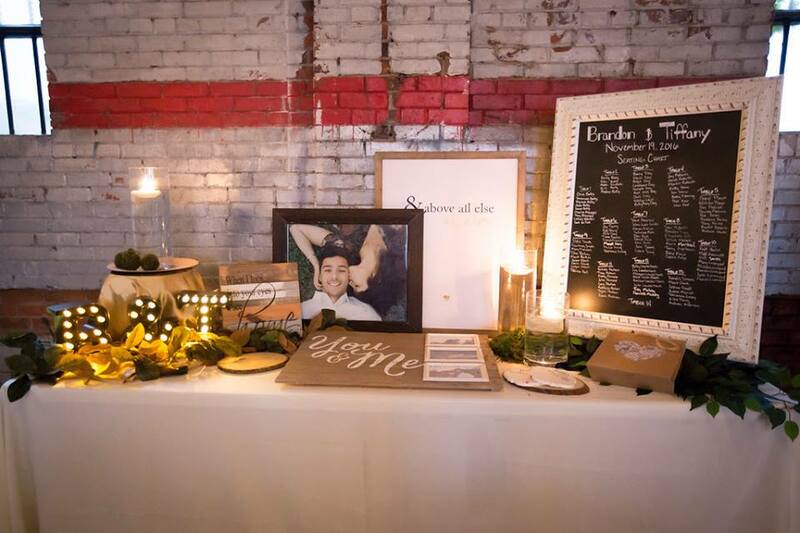 We provide five foot round tables, eight foot rectangular banquet tables, mahogany chiavari chairs with thick white padded cushions, a vintage mobile bar that you can roll wherever you prefer, bistro lights, and our massive chalk board wall. 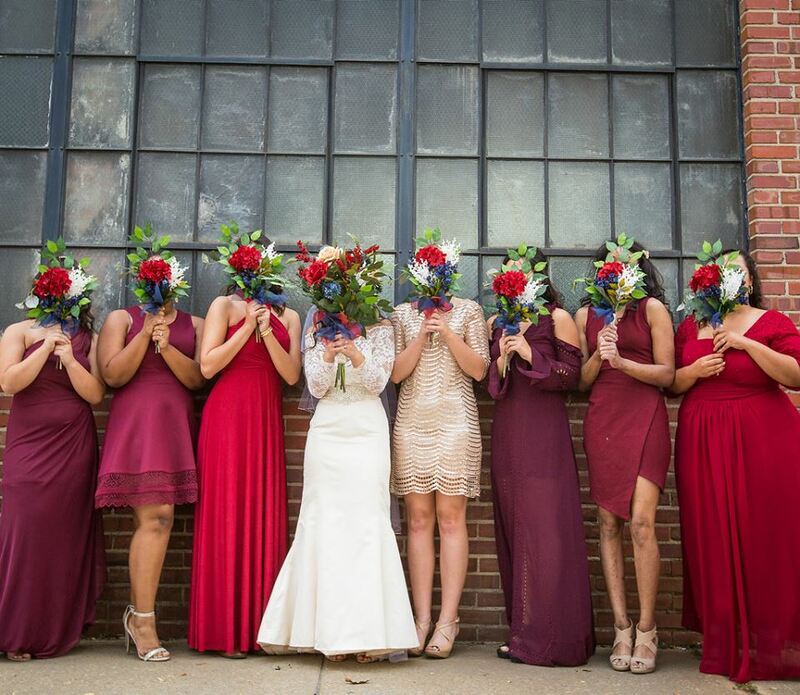 Studio 215 provides the perfect backdrop for almost any wedding reception, no matter what your style. Check out the video below of a gorgeous wedding photo shoot in the big studio. 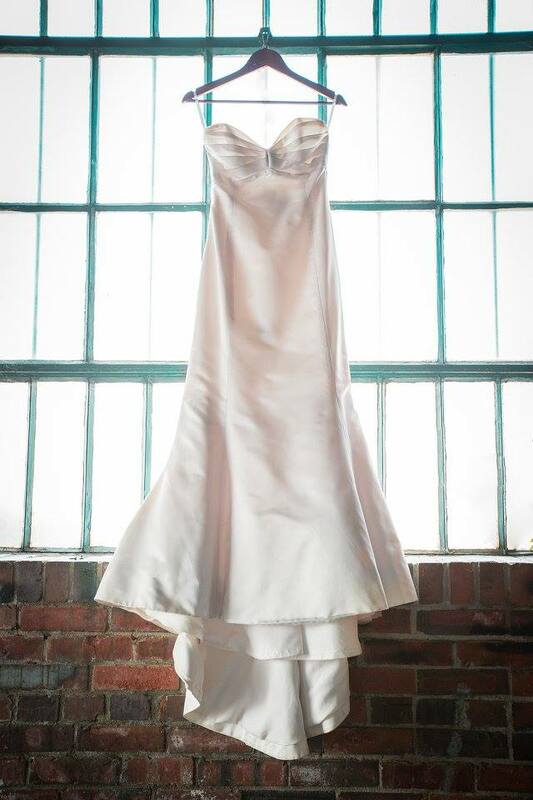 Studio 215 is available for bridal portraits, engagements sessions, product shoots, head shots, and family portraits. During the reception, your guests will be able to plant themselves right in the middle of the action or take a break and watch from above on one of our two unique mezzanines. Studio 215 offers both a groom room and a luxurious bridal suite. Both of these spaces are fully outfitted to help you relax and get ready for your day. 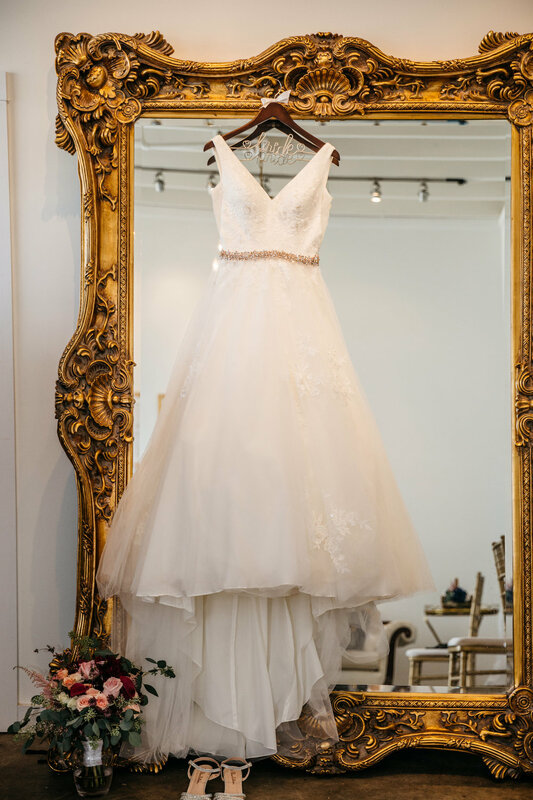 Our bridal suite boasts 17' tall ceilings, a gold antique chandelier, and it's own private rest room. 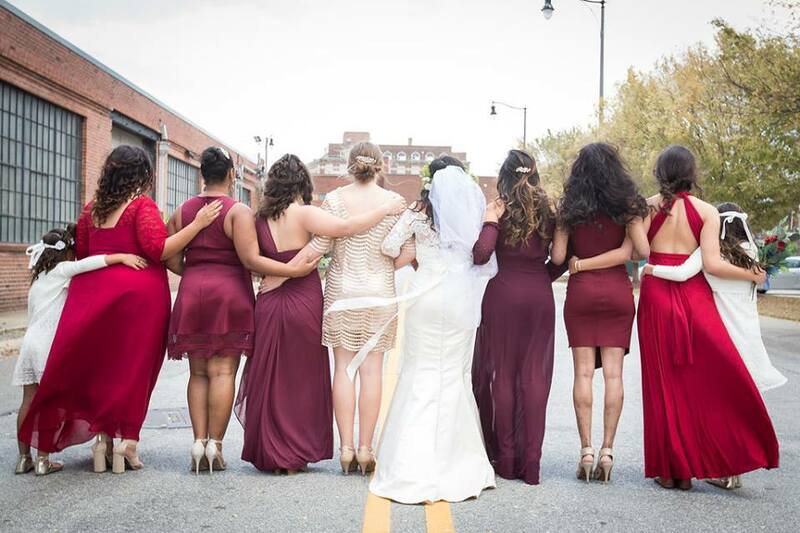 You and your bridesmaids will have fun getting ready in style with this huge full length mirror. The room also has a pale blue area rug, make-up counter, antique furniture, and a mixture of antique and modern decor. We offer complementary mimosas to the bride and her maids on her big day. Cheers to that! We have a groom room that any guy will love. With a plush pleather sofa, 2 club chairs, a custom six foot long wooden palette bar, our flat screen TV, and Xbox games you can sit back and relax while the girls are getting ready. Our custom hand made mirror just arrived from Cornerstone Design Co. It was made specifically for this room and we’re smitten.